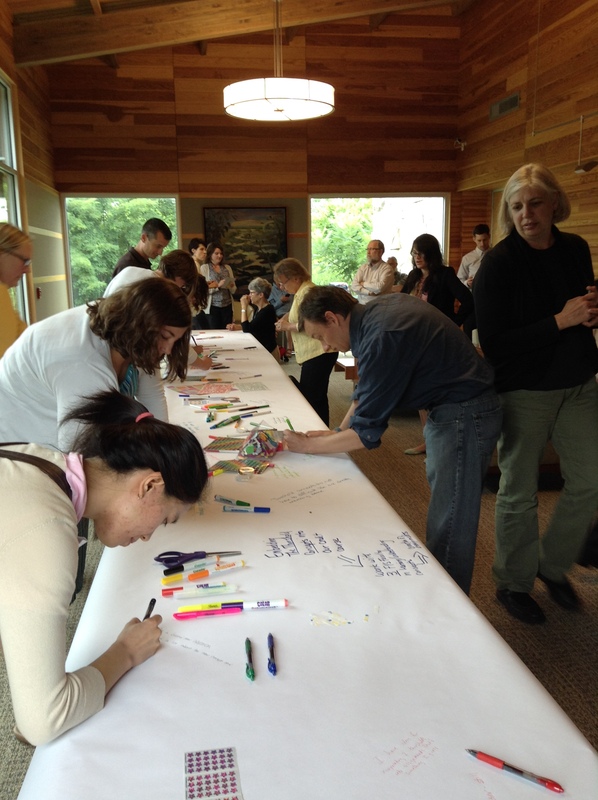 Did you get caught at the 2014 ALI ILC Unconference? View pictures from the day here: 2014 Unconference photos. For notes from the day's sessions, view our 2014 Unconference LibGuide. Join our listserv to keep informed! Serve as a focal point for exploring information literacy issues, discussing new opportunities that would further facilitate collaboration and adoption of best practices among ALI members, and recommend courses of action to the Board. Develop and implement Board and member-approved opportunities. Poster Session (presented here as PowerPoint) by Mandy Havert and Laura Bayard at University of Notre Dame. Click this link: https://connect.butler.edu/p3sgykkvad4/ to view the recent Academic Libraries of Indiana (ALI) Information Literacy Committee webinar on: Information Literacy & First Year Students: Programmatic Instructional Approaches & Assessment held Wednesday, Dec. 9 from 10:00am – 11:15am. For program details about the webinar, read below. 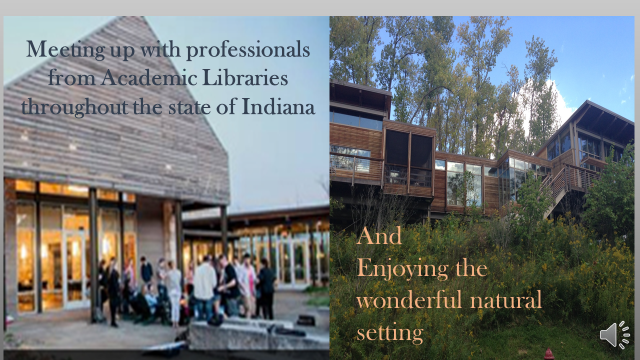 Sara Lowe, Educational Development Librarian at IUPUI University Library, & Sean Stone, Librarian with the Indiana University School of Dentistry – Sara and Sean will share their FYS programmatic assessment work at their former institution, Claremont Colleges. Catherine Pellegrino, Reference & Instruction Librarian at Saint Mary’s College, will discuss starting a new FYS program with an information literacy learning outcome. 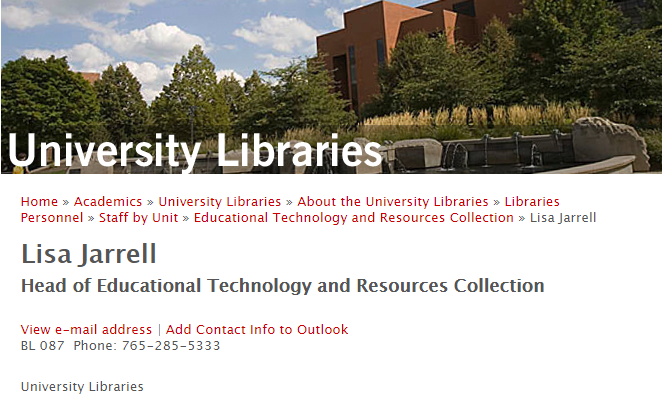 Bill Orme, Associate Dean for Educational Services, IUPUI University Library, will discuss moving the information literacy component of a first year learning community (IUPUI’s University College, U110) to five, online learning modules. 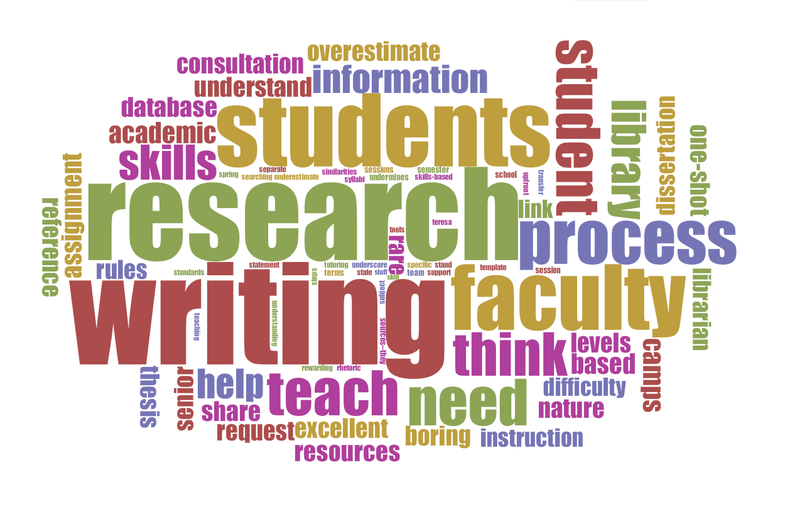 Sally Neal, Associate Dean for Instruction & User Services, Butler University, will review co-assessing student FYS research papers with FYS faculty. To learn more about Professor Ariew’s credentials, visit: SelectedWorks of Susan A. Ariew.